HARRISBURG – Senator Scott Martin (R-13) announced several measures today designed help make elections in Pennsylvania more fair, efficient and cost-effective. Martin joined a number of his colleagues today to announce a bipartisan package of election reforms that address a number of weaknesses in the current system. One of the bills Martin is sponsoring with Senate State Government Committee Chairman Mike Folmer (R-48) would require write-in candidates to receive the same number of write-in votes as would be required if they had filed nomination petitions. For example, if 10 petition signatures are required for a given office, a write-in candidate would need to receive a minimum of 10 identical write-in votes to be elected to that office. The legislation will prevent cases in which a single write-in vote elects an officeholder who may lack interest or basic qualifications for office. Two other reforms Martin is sponsoring would help reduce the cost of conducting elections by removing antiquated mandates. Both measures would require amendments to the Pennsylvania Constitution, which must be passed in two consecutive legislative sessions before being decided via referendum. A bill Martin and Folmer are sponsoring would eliminate the requirement for a separate ballot or a separate column on voting machines for the retention of justices, judges, and justices of the peace. This outdated requirement only increases costs for counties and increases confusion among voters, Martin said. 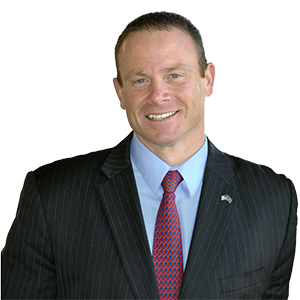 Martin will also sponsor a bill along with Senator Pat Stefano (R-32) that would eliminate the requirement for counties to have enough ballots to cover 110 percent of the number of registered voters in each precinct. The proposal would give counties the discretion to print 10 percent more than the highest number of ballots cast in the previous three Primaries or General Elections in an election district.